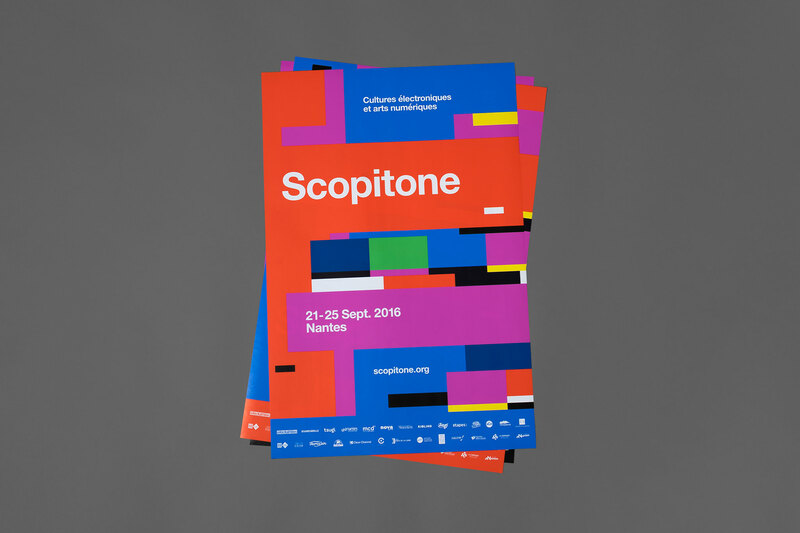 Founded in 2002, Scopitone is an annual festival that celebrates electronic culture and digital arts and takes place in various locations in Nantes, France. Created by Stereolux and organized by the Songo Association, the festival hosts numerous artists, musicians, performers and other professionals from France and around the world. 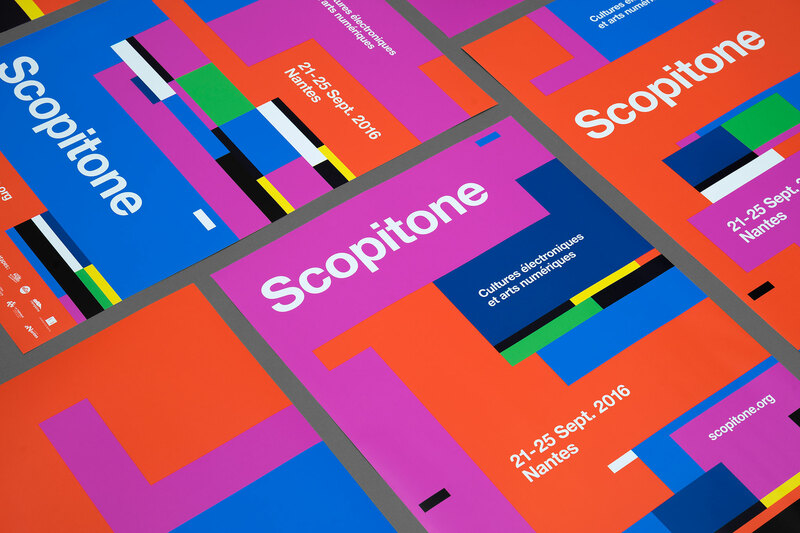 For its 15th edition Hey was asked to create Scoptione’s graphic identity. We decided to embody the essence of the festival. The Scopitone was originally a groundbreaking machine with its heyday in the 1960s. Working as a jukebox which also showed an accompanying film, it was a forerunner to modern music videos. We came up with an identity that represents the pattern that used to pop up on our television screens when there was no signal. 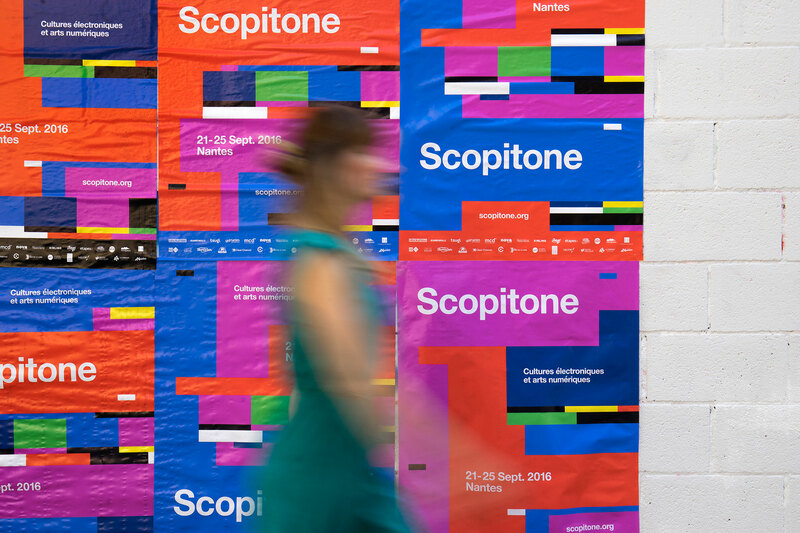 Our static communication materials for Scopitone represent a glitch effect on the colour bars pattern test (also known as SMPTE). The result is an identity formed by rectangular and coloured overlapping sections. 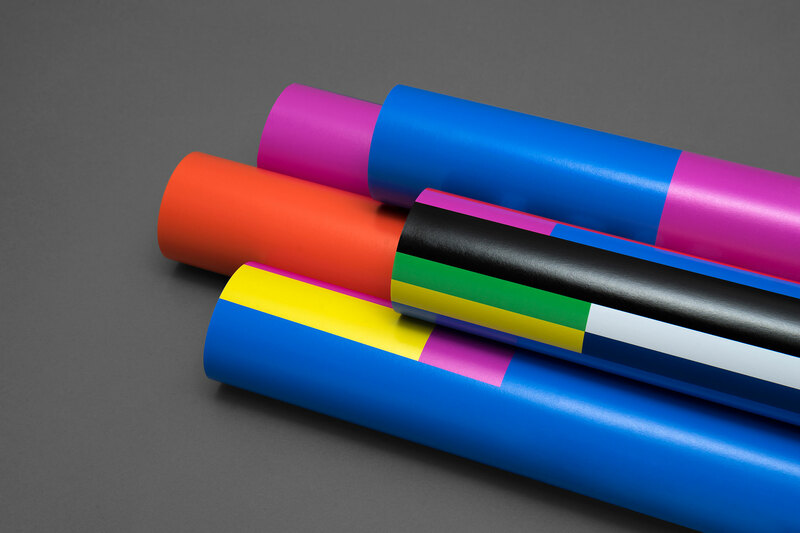 This creates a flexible visual system which can be applied across all the different communication materials and can also be adapted to all the formats and sizes of the different graphic resources.